KIM LAWTON, guest anchor: Jews around the world are preparing for their High Holidays, which begin sundown next Friday (September 22) with Rosh Hashanah, the New Year. It is a time of prayer and introspection. In northern California, Rabbi Alan Lew encourages Jews to borrow from the Buddhist tradition of meditation to enhance their practice during the High Holidays and all year round. He spoke with Kate Olson. KATE OLSON: Deep in the heart of the Ventana wilderness, south of San Francisco, Rabbi Alan Lew leads Jewish practitioners in Buddhist meditation. 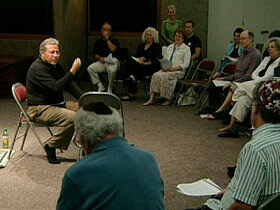 Rabbi ALAN LEW (leading meditation at Tassajara): Always return to the breath and listen as the heart discloses itself. OLSON: This group is at Tassajara, a Zen Buddhist monastery, for a week-long retreat to prepare for the Jewish High Holidays. 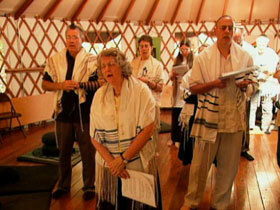 Following meditation, they participate in a traditional Jewish prayer service. Rabbi Lew, who is guiding the retreat, says that meditation opens one to a deeper and more subtle kind of spiritual experience and enhances traditional Jewish practice. Rabbi LEW: What really makes Jewish prayer powerful is something inexpressible, and meditation really sensitizes you to the inexpressible. Many people may walk into a Jewish prayer service for the first time and feel really turned off because they’re focusing on the language, which they don’t understand, and they’re focusing on the rituals, which they also don’t understand. But if they walk in after an hour of meditation, they’re focused on those very subtle kinds of feelings that are being expressed underneath the language and underneath the rituals, and that’s really the essence of the prayer service. 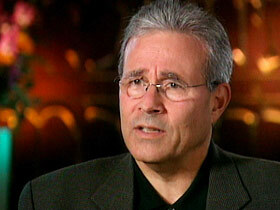 OLSON: Lew was born in a Jewish neighborhood in Brooklyn in 1943 and grew up in a secular Jewish household. Though he remembers praying as a child, he wasn’t aware of the spiritual value of Judaism. In the 1960s, he traveled to California to pursue his spiritual path, experimenting with different Asian practices and eventually discovering Zen Buddhism. Lew spent the next 10 years engaged in rigorous Zen practice, including retreats here at Tassajara, which he says led him back to his Jewish roots. Rabbi LEW: Zen meditation has this very annoying habit of forcing you to look at those parts of your life that you’ve been unwilling or unable to look at. And for me, I mean, Judaism was certainly one of those. OLSON: It was while sewing the breastplate for his robe as part of ordination to become a Zen monk that Lew realized how deeply Jewish he was. Rabbi LEW: I was trying to sew this breastplate and, you know, with each stitch you’re supposed to say, “I take refuge in the Buddha.” But I found that I just couldn’t do it. After 10 years of the layers of my spirituality peeling away like an onion, I was finding that there was something irredeemably Jewish at the core. OLSON: Lew went on to become a rabbi in the Conservative branch of Judaism and has spent the last 20 years as rabbi of several congregations. Last year he retired to focus on teaching meditation in a Jewish context. He says meditation plays a particularly important role in preparing for the journey of transformation called “teshuvah” at the heart of the High Holidays. Rabbi LEW: It’s a turning inward. It’s a turning towards awareness, a turning away from alienation and estrangement from ourselves and from others and from God and towards reconciliation on all these levels, and that’s what meditation does. Meditation makes us more aware. Meditation helps us turn towards the reality of our lives. Meditation helps show us the truth of our lives and it also helps bring us together with others, and it also gives us a sense of the presence of the transcendent. So it fits almost perfectly into all the major concerns that we’re engaged with at this time of year. OLSON: Lew is invited to synagogues around the country to help congregations experience the power of meditation to deepen their Jewish practice, especially during the period of contemplation leading up to the High Holidays. Rabbi LEW (Teaching congregation): This teshuvah business — it’s right there. It’s that pain that’s sitting right on the top of your heart. That’s what you need to do teshuvah about. But the question is how do you look at the heart? We sneak up behind it. We focus on the breath; we focus on the body. And while we’re focusing on these things, the heart discloses itself to us in the form of these thoughts, which carry our awareness away. Patterns will form, and those are precisely the things that we need to make teshuvah about. (Speaking at retreat): You know, there is a great saying in the Torah: You should not to hold a grudge. OLSON: In his retreats Lew encourages participants to embark on the journey from alienation and estrangement to reconciliation and atonement, a journey that involves the hard work of forgiveness. 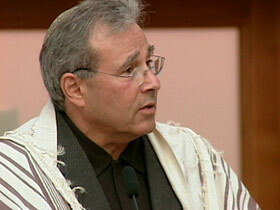 Rabbi LEW: When we become aware of our own pain, we also become more sensitive to the pain of others. That’s when real forgiveness can take place. Without that, forgiveness is kind of an empty gesture. OLSON: One of the most fundamental transformations people seek during the holidays, Lew says, is to experience themselves not as distinct and separate from others, but as part of something larger, as part of a single spiritual entity. Rabbi LEW: One of the most powerful potentials of these kinds of practice is that they bring us into real connection with each other. We go out in the street, and there’s somebody out on the street, and we feel connected to them, and if they’re a homeless person or if there’s someone who has no food, then we experience their suffering to be our own suffering. OLSON: The connection Lew felt with others through meditation combined with the Jewish emphasis on social justice led to a change in his own life. Rabbi LEW (at press conference): When we see the homeless on the streets of our city failing and vulnerable, we see our own failure and our own vulnerability, and we see our own guilt for failing to care for them. OLSON: Lew became more actively engaged in social concerns, speaking out on behalf of the homeless and against capital punishment. Recently he and several other local clergy were arrested and issued citations during a rally of San Francisco hotel workers fighting to keep their pay and benefits. Rabbi LEW: I am engaged, and I didn’t used to be. I didn’t used to be. You know, I spent many, many years thinking that the only thing I could do to save the world was to work on my own considerable craziness. But this combination of the imperative for social justice and this real experience of connection really make it almost impossible not to do this kind of work. OLSON: Lew says the journey of transformation that is the focus for Jews at this time of year is like the journey of everyone’s life. Rabbi LEW: Transformation goes on all the time. We are transforming beings. Transformation is a divine imperative. It’s always introduced that way in the Torah — not as something we undergo as a kind of leisure activity, which I think is how many in this country regard spiritual activity, you know, something we do on weekends, but really essential to our meaning as human beings. OLSON: And transformation is important not only for the followers of Judaism, he says, but for the tradition itself. Rabbi LEW: I think if Judaism is to survive as something other than a mere ethnicity, it needs to recapture its inner sense, and that’s what meditation brings to this. It really helps to show us the inner meaning, the essence of all these practices, something that really goes to the core of our existence, something that touches us at the root of our soul will endure. OLSON: For RELIGION & ETHICS NEWSWEEKLY, this is Kate Olson in San Francisco. Read an excerpt from Alan Lew’s book THIS IS REAL AND YOU ARE COMPLETELY UNPREPARED (Little, Brown, 2003). 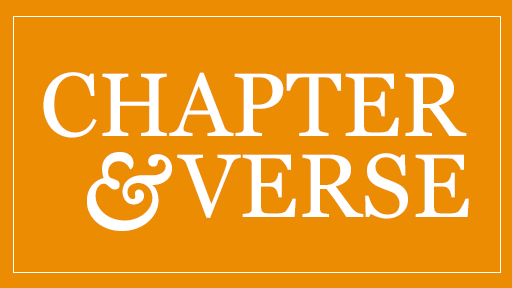 Revisit essays and resources on “Christianity Meets Buddhism” and “What is Mysticism?” in 2005 R & E Viewer’s Guide.